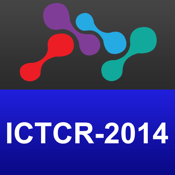 ICTCR 2014 will deal with multi-targeted approach to treat cancer. Clinicians and basic scientists from USA, India, and other countries will focus on the rationales and clinical experiences with targeted approaches to treat, prevent, or manage cancer during this three-day symposium. Adapted from: Hallmarks of cancer: the next generation. Hanahan D, Weinberg RA.